What is Digital Communication & Why Are Skilled Professionals in Such High Demand? Have you ever wondered who’s responsible for the targeted social media ads you see as you scroll through your feeds or the emails that let you know about events and promotions you’re actually interested in? The professionals behind these marketing tactics work in digital communications—a field that is indispensable to most organizations today. If you’re interested in breaking into the digital communications industry, now is a great time to explore the field; there’s a rapidly increasing demand in the job market for people with digital media skills. 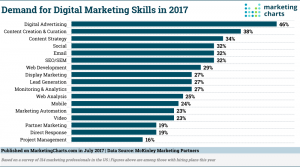 In fact, according to McKinley Marketing Partners, digital marketing professionals were the most hired roles among all marketing professionals in 2018, and 59 percent of marketing leaders plan to hire for these roles in 2019. What is Digital Communication, Exactly? Simply said, digital communication involves an organization’s online communication efforts. Most organizations today use a wide range of online channels—from their website to mobile chat to blogs—to connect with current and prospective customers, employees, and other stakeholders. They need digital marketing professionals who have a keen understanding of how to leverage this convergence of technology and messaging to their advantage. Digital communications professionals are responsible for everything from creating online brand assets to building an engaged social media audience. The WWF asked users to take two simple actions: Make a donation and share the post. The campaign was so simple, but it was a tremendous success. Within hours of the Snapchat posts, 5,000 people had shared the posts on Twitter. By the end of the week, more than 120 million Twitter users had seen WWF’s message. In just three days, the charity reached its fundraising goal for the entire month. The WWF didn’t simply choose to post to Snapchat because of the medium’s popularity. They took a highly strategic approach that brought the message and the medium together in a compelling manner. Employers in many industries are seeking professionals who can navigate digital communication in this same way. Employers across industries are looking for digital communication professionals with a variety of specific skill sets. The chart below highlights the top skills hiring managers were looking for in 2017. A passion for storytelling—Digital communications are often rooted in the art of persuasion, and one of the best ways to persuade your audience is by crafting a strong narrative. Empathy—Being a strong communicator involves gaining a strong appreciation for your audience and what drives them. Once you’re able to put yourself in the shoes of other people you’re trying to influence, you can establish more meaningful—and more effective —connections with them. These roles involve the planning, creating, and sharing of compelling content to engage key audiences. Unlike traditional marketing, content marketing isn’t about promoting a product or service but about being a credible source of information that matters to potential customers. Digital advertising professionals develop and execute strategies to reach highly targeted audiences through an array of online channels, from Google AdWords to Instagram. These roles involve testing various marketing approaches, analyzing and interpreting data, and measuring the results of marketing campaigns. Professionals in these roles implement, analyze, and continuously update website content and technical features to increase an organization’s search engine ranking. 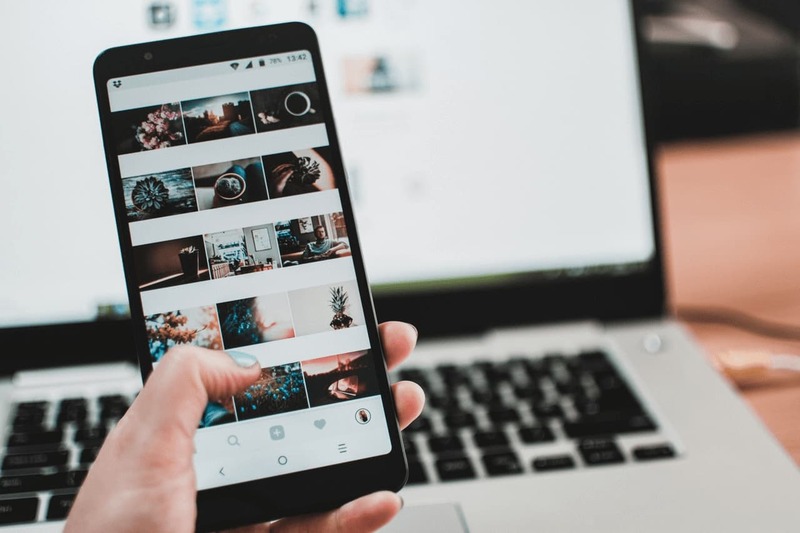 Social media professionals are responsible for developing and executing social media marketing campaigns to influence a target audience, which includes the creation and curation of visual and written content. They also may act as community managers, listening and responding to social media users in a way that is in line with the organization’s brand identity. Why Earn a Degree in Digital Communication? Securing a lucrative career in digital communication requires specialized knowledge, a mastery of digital skills, and experience in applying those skills in the real world. One way to gain this knowledge and experience is by earning a specialized degree, such as Northeastern’s Bachelor of Science in Digital Communication and Media program, which offers a novel way for students to gain both the theoretical knowledge and the hands-on experience they need to advance in the field. In this program, students and a professor collaborate with an employer on a short-term project that addresses a particular real-world problem their company has, enabling students to build their knowledge and skills through direct experiences outside the classroom. Throughout the degree program, students develop a wide range of digital competencies, including learning to apply marketing principles, conduct research, develop content, and analyze data. They then have an opportunity to put those skills to work directly as they design, implement, and manage a major communication campaign for a virtual PR firm. “We offer a virtual firm in which the students are the employees working on an actual digital media project for an actual client. Instead of a weekly class, we have a weekly staff meeting to plan, develop, review, and execute the campaign for the client. One of the many benefits of a digital communications degree is that it gives you the freedom to try your hand at many different aspects of the field. Digital communication is a broad area, and most professionals in the field ultimately do focus on a specific area instead of acting as a generalist. Visually-oriented students might gravitate toward a career in video, for example, while those who are good at storytelling might prefer a career working with the press. To learn more about Northeastern’s Digital Communication and Media program, explore our program page or speak with our team to have your questions answered.